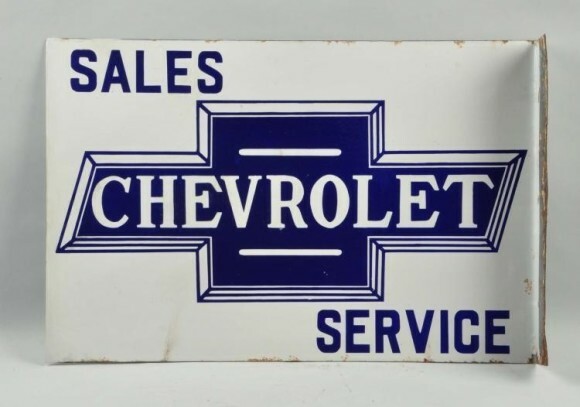 This white Chevrolet flange porcelain sign is 20″ by 30″ in size. Its shape is that of a rectangle. In the center of the sign is the Chevrolet logo in navy blue. Words on the sign say “Sales Service Chevrolet.” This sign was made to be mounted at a dealership.